Thank you for your interest in Best Canadian Movers! Please fill out the below form for your FREE Estimate. Someone will get back to you within 24hrs. Packing tips for your next move! When thinking about moving, packing doesn’t really come to mind first. This is true when you are moving for the first time, and did not get to experience the chaos that packing is. The process is long and strenuous, and it will probably take up most of your time. This is because many things go into it. You will need to think about what to pack, then find the appropriate room to pack it. You need to get the packing supplies and finally pack everything. Add to that the worry about whether your stuff will survive the move, and you have your hands full! Luckily, Best Canadian Movers are here to help you with it! Careful planning your household packing process will help you significantly! Find out how to do it in this article! What is the first thing that you need when you want to organize your household packing process? 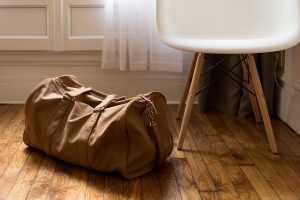 If you said a packing plan – then you are correct! It’s a great idea to sit down and jot on paper how you want your packing to go. This will help you follow through everything you need. It will also stop you from forgetting something while packing, and you can prepare for the future steps while doing the previous ones. In this way, you will not only save yourself time, but you will also reduce your stress level. You will know exactly how much time you have left for something, so you will be able to speed up or slow down as necessary. After that, all you need to pick are some packing materials. Get some padding supplies and bubble wrap, as well as some nice packing paper. You will also need some newspaper and scissors, as well as markers and tape. When getting the tape, don’t think about saving money too much. Instead, buy a high-quality tape. It is the thing that will make a difference between your things falling out of the boxes and staying in them. The next thing you want to do is pack suitcases for each of your household members. These may be the only items you will have with you during your move, so think carefully about them. Include a personal-sized bar of soap and toothbrushes, towels and razors (as needed), as well as some clothes which each person feels comfortable wearing. You should plan to pack for a couple of days, so include two complete changes of clothes. If you are traveling with kids, then remember to pack their favorite toys or safety blankets in their suitcase. In case they get too anxious, this will soothe them. All of these suitcases (or boxes) need to be put somewhere safe, so our moving services don’t pick them up when collecting your items. Then, when the moving day arrives, you mustn’t forget to toss them in the car with you! When you are packing your home, it’s very important that you designate a special area for it. It needs to be wide and open. Not only will you drop a lot of items and packing materials there, but you also need to be able to move around it – and pack your stuff. This area will also be useful in protecting you from losing anything important. Whenever you are looking for something related to packing – you can search in this area. When actually packing your boxes, you should go room by room. Don’t pack the boxes by their use, or the materials they are made of. This will only make your household packing process take more time. Instead, put everything from the living room (that you are moving) to the designated area, and start packing. After you are done, seal the box and label it with the room name, then move on to the next box. This is a great tip – and it will be beneficial when unpacking your home. Movers will simply put each box in the room it belongs to. All you will need to do is start unpacking box by box, and bringing life to your new home. What’s more, this method will also help you locate your items. If you need something during the moving process, simply find it in the boxes from its room. First, create a plan for your household packing process. Write everything down – from what you are packing and the materials you will need, to the actual packing schedule. Do your best to follow this plan. Then, get the packing supplies you need for your packing. Never forget to pack travel suitcases for each family member. These are a necessity, especially during long moves. Finally, designate an area in your house for packing, and start the process. 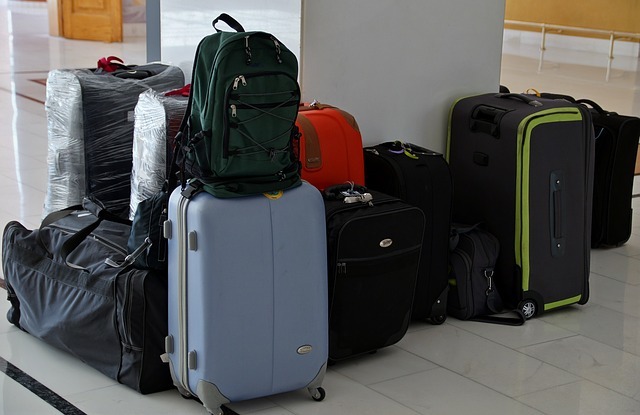 By following these steps, you are streamlining the household packing process. Remember, if at any time you feel overwhelmed with it, you can contact us. We will take care of your packing while you do other chores – or rest! Moving Yourself? Better Safe Than Sorry! Moving – there is always SO MUCH to worry about. Is everything packed properly? Will the movers be on time? Will the new place be ready? Where will the children stay during the move? Are we forgetting anything? At least you don’t have to worry about the state of the house that you are LEAVING behind? After all, that is the problem of the new owners, right? Wrong! How you leave your previous home is very important. Important enough to have possible financial and legal ramifications that can come back to haunt you like a ghost. Let’s talk about how to leave a house after you leave and why you should do so. Check your purchase agreement again. You may find that you are obligated to clean up the home before you completely leave. Failing to do so could lead to a lawsuit or other issues. While it is unlikely that you would find yourself in court for failing to sweep up, why take that chance? Many home purchasers will expect the home to be “broom clean” when they take possession of a property. “Broom clean” simply means that the home has been cleared of all belongings and garbage and that the floors have been swept (or carpets have been vacuumed). Doing this simple task will fulfill your end of most purchase agreements. It is always a good idea to maintain a decent relationship with the new owners of your previous home. Maybe packages meant for your family will still be delivered to your old home; or perhaps you forgot something in the basement or garage. The new owners will be more inclined to help out if they are happy with the condition of the home when you left it. Finally, leaving a home in a clean state after moving is common decency. Nobody wants to go through all the trouble of packing and moving only to find a big mess once they get to their final destination. A little effort will go a long way. Clear the entire house (including walls) of all personal property. If they didn’t buy it, don’t leave it! Take out all the garbage. Vacuum the floors and carpets. Scrub the tubs, sinks, and bathrooms. Wipe down the cabinets, cupboards and counters (watch for errant food particles). Clean all the appliances that come with the house. Understandably, you may not be in the mood to do any cleaning after a tough day of moving. Consider hiring a cleaning company to do it for you. Your moving company should be able to recommend one. Looking for more tips and help with your move? Talk to us at Best Canadian Movers. With over 20 years of providing moving and storage services in Burlington and Toronto, Best Canadian Movers will help you with your moving and storage needs for every step of the way. Fully licensed, bonded, and insured, you will always feel that you property is being treated with the respect it deserves. Take a look around at our site for our services, testimonials, and some helpful moving tips Contact us today! Best Canadian Movers is a fully licensed, bonded and insured moving company and our staff is well trained in the art of moving and to be tentative to your needs. Our fleet of moving trucks undergo inspection prior to every move and we not only meet, but exceed all necessary insurance requirements. Moving homes is a stressful time for all of us. 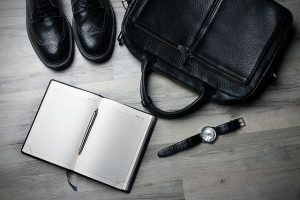 The whole process of seeking and purchasing a home is mentally draining enough but, actually relocating from one home to another is a tribulation. From packing your valuables to loading a truck to creating a new floor plan, there are so many things to worry about. Setting up life in a new city is also challenging when you have to worry about new schools and a new routine. It can all be very daunting but, in the end, you will survive; we are adults and can handle this kind of challenge. But, how about the children? Are they emotionally equipped for a move? In the chaos of moving, we often forget how a relocation may be impacting the lives of our children. Still developing as people, a simple house move can be more disruptive and traumatic to children than we realize. Luckily, you can be there to help guide them through this new experience in their lives by addressing their needs. So, what are some of the things that children will be facing during a big move (depending on their age)? Pre-schoolers: They will usually be very curious and interested in the whole process. Being different and unusual, they will have a lot of questions about the move and why things are happening. They understand the move, but will not necessarily comprehend the implications. Pre-schoolers usually have fewer attachments and connections to the previous home, so they are not usually upset to be leaving. There may be some anxiety once they settle into the new home. Young children love to be involved in things, so give them a task that is appropriate to their abilities such as packing a small box of their favourite toys or organizing their clothing by colour. If possible, bring them to the new house before you move so it will be familiar to them when the day arrives. School-aged children: They will offer more of a challenge when moving homes. They understand the implications and the reasons, but may not entirely accept them. They may act out in aggressive and passive-aggressive ways. The biggest concern that children at this age will have is changing schools. Most of their social network will be attached to their school. Changing will likely mean having to adopt a new group of friends, which is not always easy. To ease them into the change, bring your child to the school before the actual move so they can get a feel of the physical property and sense of the atmosphere of the school. There is debate on whether it is better to change schools in the middle of the year or over the summer. If it is an option, see what your child would prefer. Teenagers: They will usually be the strongest opponents of the move, especially if they need to change schools. Friends and social groups are often the most important things to a teenager. The loss of this and the possibility of having to start over can cause them to flat-out rebel against you. The best thing you can do in this case is to listen to their concerns and try to address them. Treat them like an adult whose opinion counts. They will still be upset, but may at least feel better. In between packing and working with your children, you will have a lot on your plate. Make sure to hire a good moving services company to make your life easier. At Best Canadian Movers, we offer over two decades of professional and courteous service in Ontario. Contact us today. You handle your family; we will handle the move. It makes sense that summer is one of the more popular times to move in Canada. The kids are out of school; the home buyer’s market heats up with the weather; there is no snow or ice to contend with; and being in the outdoors is pleasant when the temperature is averaging 24 degrees. However, moving in the summer can still be fraught with pitfalls if you do not take it seriously. You still have to consider the heat, dehydration, and your valuables. Hiring a solid moving company is always a good start. Follow our tips and your summer move can be exactly what you want it to be! The summer heat is going to be your biggest challenge. The temperatures can soar over 30 degrees on a hot day; with the humidity, any physical activity is going to be hard. Dress appropriately (shorts and t-shirts are fine, but no sandals); don’t overexert yourself; take breaks in the shade or cool areas. Become familiar with the symptoms of heat stroke and keep an eye on others. Consider starting your move early in the morning before the temperature begins to rise. This tip is important enough to get its own entry. The importance of hydrating cannot be overstated. Have plenty of cold water on hand and always be sure to keep drinking during the move. Stick with water. Juice, pop, coffee, and alcohol will not hydrate you; in fact, they can have the opposite effect. Don’t forget water for your movers, too. Don’t wait until the last minute, call a moving company months before the move and start making a plan. There are many arrangements and things that will need to be considered. The earlier you start, the more prepared you will be when unexpected things pop up. Watch out for some of your more heat-sensitive goods. Electronics, paintings, books, and pictures should not be left in direct sunlight or in hot places. When planning ahead, consider some of your more heat-sensitive belongings. Don’t forget your pets! They don’t like the heat either. Moving houses is a tough job, especially in the summer. If things don’t go right, it can be a frustrating and an expensive ordeal. Why not leave it to the professionals? With Best Canadian Movers, you will get a team of experienced professional movers who will treat you and your belongings with respect and courtesy. With over two decades of experience, Best Canadian Movers has seen it all from the hottest summer days to the most frigid winter ones. We are a fully licensed, bonded and an insured moving company. Contact us for any of your moving needs. Can’t Move It? Then Store It! One thing that we learn about ourselves when moving is how much stuff we really have. Christmas gifts, birthday presents, vacation souvenirs, impulse buys – it all accumulates and we don’t notice until it is time to pack it all up and then carry it somewhere else. But, taking everything when you move is not always an immediate option so, what do you do? Store it! There are many different reasons why you might find yourself in need of some storage services while moving. Some people are not even aware of how much stuff they have in their possession. When things are spread over the house and stored in off-to-the-side places (basements, garages, attics), it is easy to lose track. Then, after everything is gathered together, they realize that they may have a volume problem. Relocating is a stressful and busy time; putting some of your items into storage will cut down on the volume that needs to be brought to the new home and ease some of that stress. Space may also be an issue in the new home. If your new home is slightly smaller or has less room to store items, a storage space can solve that problem. Storing your items will also give you time if you want to re-imagine your living space and need a holding place until it is finished. Finally, some people look at moving as an opportunity to de-clutter, but they need time to go through everything to decide what they want to sell, keep, or throw away. A storage space is perfect for that. Some of your friends may offer to keep your belongings in their spaces at a “great” price. Avoid it. What happens if your items are damaged? Will they compensate you? What if you have a fall out? It is always best to avoid mixing business and friendship. A professional storage facility will have the knowledge, responsibility, and background to keep your items safe. Many moving companies will also provide storage services. Always ask. A good storage facility is usually safe and will protect your items from damage and theft. Nonetheless, it is always a good idea to protect yourself with insurance. You will make your life much easier if you take the time to sort through your items before you store them and categorize them. Labels can be your best friend in a storage space. You will be happy you did so when you need to find something. A good storage facility will offer some degree of protection. You should still make the effort to wrap and protect your items in strong containers and bags. These small steps will protect them from moisture and dust. Make your move as painless as possible by using good, reputable movers. Best Canadian Movers is a family owned and operated moving company that services Toronto, Burlington, and the GTA. We have over two decades of experience in moving and storing items. Our storage services can handle commercial and residential storage needs on either a short or long term basis. We offer reasonable prices and promotions. Contact us to find out how we can handle your moving and storing needs. A lot of attention gets paid to the moving out and packing process when you move. You research moving companies that service where you live in the greater Toronto area, select the best movers that fit your needs, book your moving date and then start figuring out the best way to pack all your items. But what happens once the boxes are packed and the moving company has loaded every last item into the truck? Having a plan for moving in and unpacking is also really important. Moving can be an emotional experience and you want to focus on keeping things stress free and easy once the moving company has deposited the last box in your new space. Pack a weekender bag containing essentials – pajamas, toothbrush, two changes of clothes, electronic devices and chargers, all personal documents, etc. Do this for each member of the family (including pets – bowls, leashes, a few toys) so that you don’t stress about finding what you immediately need right off the bat. Pack items you will need first in clear bins so you can find them easily and unpack them first. Cleaning supplies and essential items like tools to open all your boxes, hand soap, paper towel, toilet paper and garbage bags should be included. If you can, show up to your new place early and clean (at least the kitchen and bathrooms) or have cleaners go in before moving day. Take a photo of your electronics before you disassemble and pack everything so that you know how everything was hooked up. This will make unpacking and moving in electronics a quick and less painful process! But you might want to wait to hook up the television until most boxes are unpacked or it may only serve as a distraction during your work! If possible, order groceries using a delivery service to be delivered late in the day on the day you are moving in and unpacking. Not having to go to the grocery store will take one big thing off your to do list and make sure that there are drinks and food for you and anyone helping you unpack. A top priority should be to unpack and set up your sleeping areas with fresh, clean sheets. You will want to fall into bed after a very busy day and won’t want to be setting up your bed at ten o’clock at night! Use clear plastic bags for each set of fresh linens so you can easily know what set goes with what bed. Unpack the kitchen after tending to the beds. A majority of your boxes will be kitchen related so it will make you feel like you are making progress and you will have space to eat! Flatten and break down boxes as you go. This will help ensure you don’t miss anything when unpacking and helps to clear space. Settling into a new space can be overwhelming, but we know that these tips will help. Best Canadian Movers is a family owned and operated moving company committed to providing affordable moving service in Toronto, Mississauga, Burlington, Oakville and the rest of the GTA. Contact us today for your free moving quote. I just wanted to commend you on your fantastic employees: George, Chris and Phil. They were wonderful today. They each worked so hard and were pleasant and friendly as well. They did a really terrific job!! I will recommend that my friends and family members call Best Canadian Movers. I must thank you for making our move very convenient. The team of 3 movers you sent were punctual extremely good, efficient, courteous and we are happy to have taken you up on the services, as recommended by Nancy who also happens to be our estate agent. We informed about your services, she was happy. On our part too, we looked after your team by providing them with morning coffee and snacks followed by lunch and cold drinks of course. I will surely pass on the word to my family and friends to use your services for moving and my daughter will shortly be writing a nice testimonial for the excellent services rendered by BEST CANADIAN MOVERS. On behalf of Paul Davis Systems of Moncton, we would like to express our deepest appreciation for all the hard work and dependability your company expressed while we were in Ontario. We were there in a time of need for families as houses were flooded and lives were being ruined. Your company stepped up to the plate and helped with returning customers into their homes much faster. We sincerely appreciated your responsiveness and the way you conduct business. We look forward to doing business with you for years to come. My name is Joanne Moore and you moved my daughter last Saturday, Feb 23, 2013. I just wanted to tell you that the move went extremely well. The movers, Stephen and Kevin, were polite, friendly, helpful and took excellent care of our belongings. We were very pleased and would recommend Best Canadian Movers to anyone. The process was easy, the prices were good and everything went very well. Thank you again for making, what is a stressful day, more pleasant and less stressful. Everything went well with the move, and the guys were great with great attitudes but a special mention to Brian as he was the guy who knew how to zig and zag the furniture to get them in a rather tight spot. Do not loose this guy as he has done this for many years, I can tell this was not his first or toughest move. Great job to all and when I move to a permanent residence, I will re-book with you guys. I just wanted to thank you for the excellent job that Phil and Jr. did with our recent move. I really appreciate all the hard work and how professional they were, and also appreciate your work also. I just wanted to let you know how happy I was with the movers Rob and Junior. They did not waste any time at all. They were professional and pleasant to deal with. I really thought that I could trust them with my belongings no problem. I was completely satisfied with their service and care and the price was reasonable. My parents will be moving as well this year and we would like to request Rob and Junior to help with their move. Please if there is any praise you can give them on behalf of me and my family it would be very appreciated and I thank you for the great service, and I will be contacting you in the near future to book my parents move. Thanks so much for your help with our move from Richmond Hill to North York. The guys were fantastic! You sent the best movers we ever had. I did have a bad experience with other movers before. Thank you and will recommend your moving service to my friends and family members. I just wanted to let you know that I was very impressed with your moving service. John and Steve were on time, polite and professional. They worked hard for almost eight hours and handled all my belongings with care. At the end of the day everything went okay. I am completely satisfied with your service. I will not hesitate to recommend your company to all my friends, and if I need to move in the future, I will call you again. We are pleased that we hired Best Canadian Movers. We want to thank you for sending a professional and friendly team. We were impressed how our personal belongings were well packed, handled with care, placed and unpacked. Our items were where we directed them to, and the re-assembly of our furniture was professionally done. We will definitely recommend your company to family members and friends. Thank you for your excellent service. The purpose of this letter is to express our satisfaction for the great moving service that Best Canadian Movers provided. My friend was not wrong when he highly recommended your company. We just want to let you know that the movers were very helpful, well organized and well trained. We really appreciate the wonderful help that your company provided at the last minute; especially when we told your crew that we couldn’t get the keys from the lawyer for the new place, they came with a quick and easy solution and offered us to keep our belongings in the truck overnight. That was a big relief. Thank you. I am writing this letter to thank you and your crew for the great moving job. I was glad you came to supervise the job. All my personal possessions were in perfect condition. I will be calling you if I need your moving services in the future and I will recommend you. Thank you. Dear Owner/Manager, I want to take this opportunity to let you know how pleased I was with the moving job that was performed by your staff. They were professional, efficient and pleasant. Please extend my warm regards to them. I will refer all of my colleagues, friends and family to you. Many thanks for all your help in coordinating my move. Your staff were exceptional and went above and beyond what was expected. The entire process has been fantastic (as it was the last time I used your services). I will be sure to refer Best Canadian Movers to anyone who asks and will definitely call on your again in the future for my own moving needs.